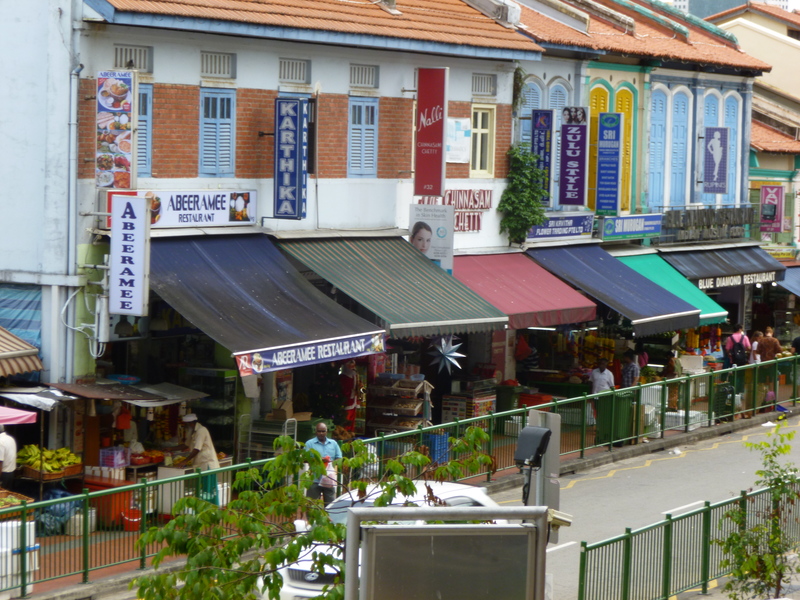 The view of Kerbau Road from a stair landing at Tekka Market. 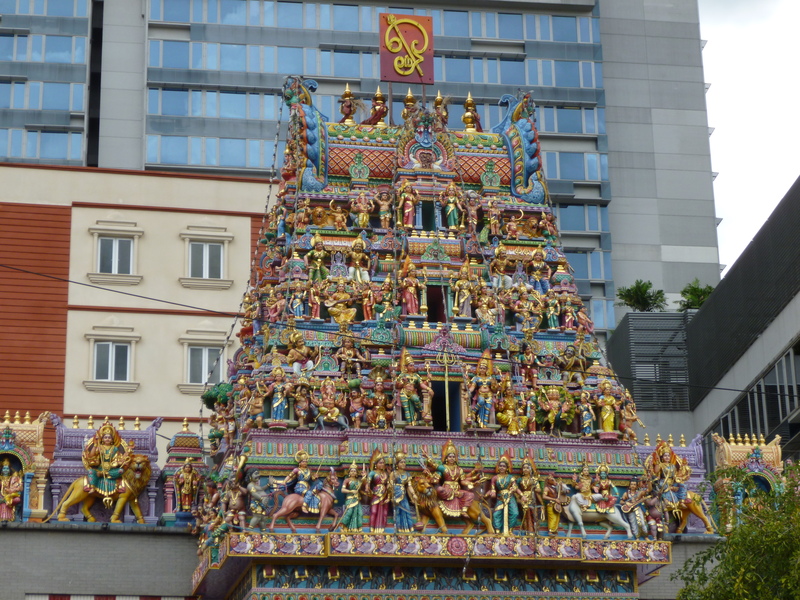 My first ever visit to Little India bombarded me with a plethora of sights, smells and colours. A proliferation of fruit stalls clamoured for space right next to the exit of the MRT station, bursting with the fresh hues and sweet scents of ripe mangoes, bananas and pomegranates. The smell of fruit gave way to the strong aroma of garlands of jasmine flowers further down the road of shophouses, surrounded by eager bees, and then to the buzz of traffic and pedestrians as the lane opened out to Serangoon Road. I let my feet guide me down the road towards the Tekka Market and Food Centre. It was high noon, and everyone around me seemed to be following a rhythmn of their own–striding purposefully down the pavement, negotiating with customers, oblivious to traffic signals in their hurry to cross the street as soon as there were no approaching cars in sight. The hive of activity in the area, though, was nestled right in the food centre itself. 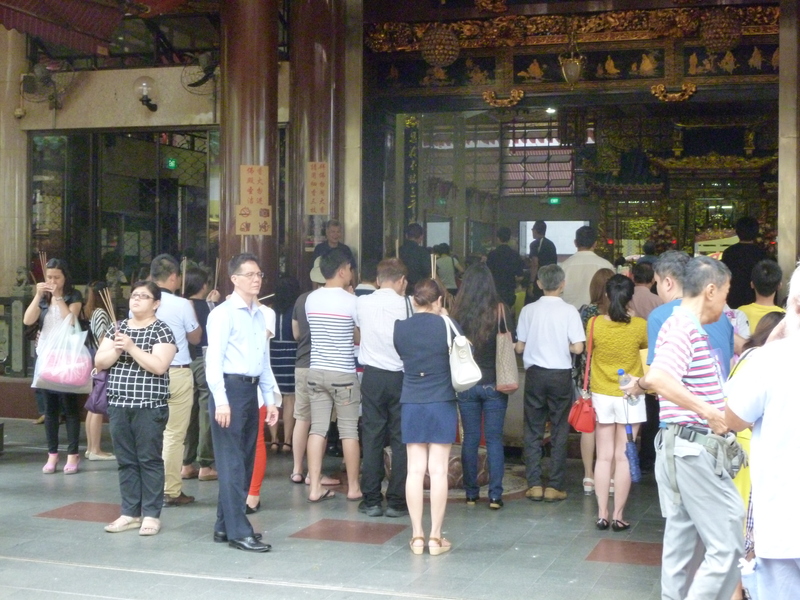 The lunchtime crowd had swelled down the narrow corridors between the cooked food stalls, causing me to have to thread my way carefully between groups of people in the snaking queues or lunch, or at the tables bantering over metal dishes of briyani and thosai. The signboards of the stalls themselves seemed to beam down at their customers like novas, advertising an array of food items from murtabak to different varieties of lassi. Noticing that I looked daunted by the sensual bombardment before me, a man approached me. We ended up sitting down and getting to know each other over a plate of plain prata soaked in curry and two cups of Milo Dinosaur topped with rainbow sprinkles (Milo is a chocolate malt beverage popular in the country, in this case the term refers to Milo served with an extra heaping of Milo powder on top) and teh halia (tea mixed with milk and ginger). Styling himself as an unofficial ‘tour guide’, he introduced himself as Thomas. “I’ve been working here for three years. I live in Toa Payoh, but I have an office here. Today is my off-day, I have a half-day so I just come here to eat and take pictures. Sometimes I see tourists around and they look lost, so I’ll just guide them for about an hour. I went down the polytechnic route and got a degree in Engineering–computers and all that. It’s not related to my current job. I’m freelance. I live with my parents and sister. I’m the only son, and it’s just the two of us. They tell me, better get married soon. I’m 43.” He grins. “Currently there are a lot of Singaporeans who are single or married without kids, but I think in your generation it will get…worse. After I’d finished eating, he asked, to my surprise, if I’d like to be shown around the place. So I let him lead me across the road and down the chic avenues of the Little India Arcade, rife with goldsmiths and shops hawking colourful touristy knick-knacks. “90 percent of the shops here sell gold,” he chuckled, threading his way skilfully down the dimly-lit thoroughfares, “because the Indians like to wear jewelry.” Hardware shops and DVD stores humming with Bollywood tunes sat right next to traditional cafes serving staple Indian fare and tiny pastry shops, making me gawk at the sheer diversity to be found within one small alleyway alone. As the arcade once again widened out to the main road we saw the Sri Veeramakaliamman Temple, looking down below its intricately-carved roof over the passing vehicles like a sultan of old calmly observing his subjects. We couldn’t go in for it had closed for the moment, so we stood a while silently admiring the great black doors adorned with golden orbs. 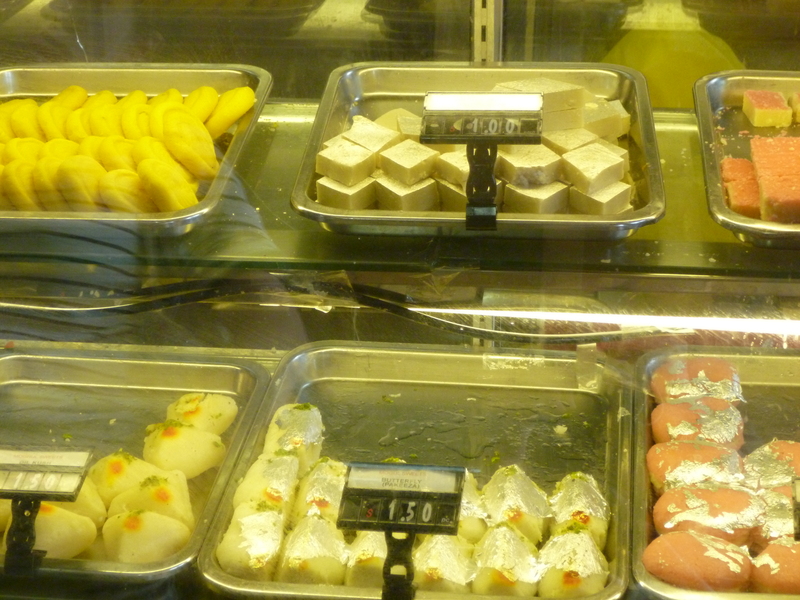 Selections from a traditional sweets shop at Little India Arcade. The roof of the Sri Veerakaliamman Temple. 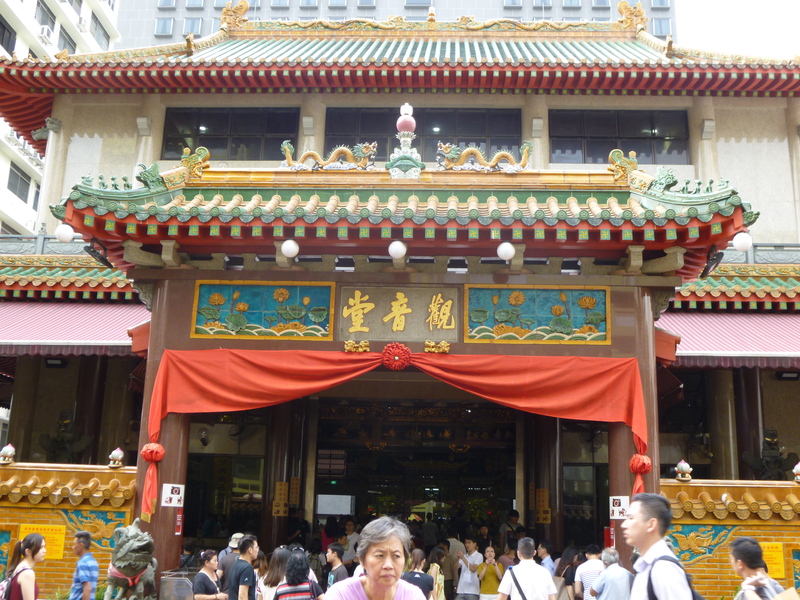 We then moved on to Albert Square, the site of the Kwan Im Tong Hood Cho Temple. 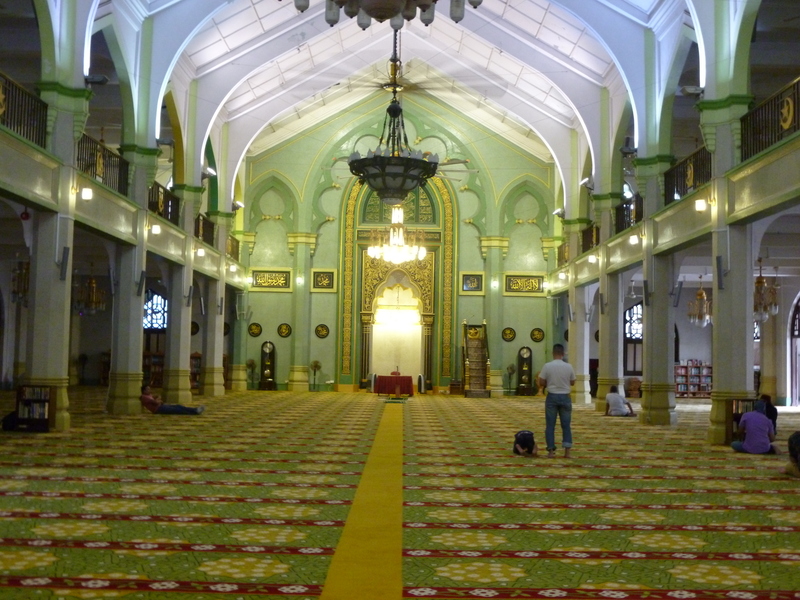 In a contrast to the severity we wtinessed in the mosque, the temple seemed to thrum with the emotions of the streams of devotees that came in a steady trickle into the front courtyard, carrying their worries and wishes along trails of incense smoke, while inside the temple golden statues of the Chinese Goddess of Mercy Guan Yin, an arhat (an individual said to be far along the path of Enlightenment in the Buddhist tradition) and the Sakyamuni Buddha surveying them with gentle, benevolent gazes. Others knelt in the inner sanctum, shaking out yarrow sticks from cylindrical wooden containers to divine their fortunes according to the Yi Jing (the Book of Changes). Thomas asked if I could give him a moment to pray. I stood aside and watched as he lit the tips of a thin bundle of joss sticks from a steel brazier at the side of the courtyard. He waved the bundle up and down three times with respectful deliberation before holding the bundle close to his forehead, engaged in a personal moment of reflection. For a moment I wondered what he was praying for, and whether many of those I had seen praying that day were actually connected by the same silent pleas, the same basic hopes and fears, that they wished to convey to their gods. After he was done, we went back into the slipstream of modern life. 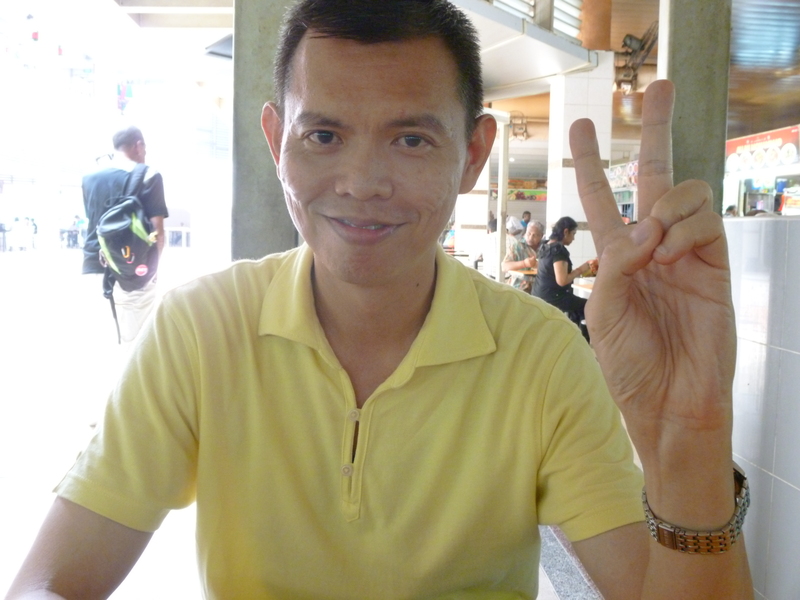 We parted at the Bugis MRT Station, but not before he had given me a range of experiences and feelings to ponder over.